The whole point is that you can't do it every single month without spending. You either hoard and pick your target bot when it comes around, or be content with the 4* feature of the month. I agree 1mil chips is lofty, and awakening it is even more ridiculous, but it keeps anticipation very high. I think it will also get players more invested in arenas and increase competition in all game modes overall... They will want to earn bot Crystal shards in preparation for their most desired character. Ooohhh. GMCs ehhh? It's time to milk the whales! @billygovols yeah I can collect 210k and I have only one five star and I want an exclusive five star to be at around 250k,so I can go for it. Come on man, You are not supposed to get best and newest cheese available every month. Haven’t seen anyone raise the question if he will be available in the five Star crystal upon his release, or will he be exclusive until a crystal upgrade? @Kabam Miike Will these Featured 5* bot crystals be rewarded in the Monthly Objectives after finishing the Spotlight? Since there's an awakening program for the running Featured if you finish all the monthly obj, frugal people only need a 4* and a 3* which is 110k. While I don't think I'll get a chance for the 5* yet (only got enough chip this month for 2 4* and 3 3* jazz), I would like to thank Kabam for making chips a little easier to get (with the double chips) . They're going to be adding a T3 Class Arena. This game needs to be more new player friendly especially in raids. Ufff is much to the most I win 300 chip and 1M is too much, now if in all the arenas they give double and in Assaults too maybe but it would be very much anyway. Finally. Something to put my chips into. I’ve been getting 1-2 million every month. Thanks kabam. Appreciate it. Seems like a fair price for a 5* FEATURED bot. This is why you need to add in the new feature where we can turn old bot chips into new bot chips. Will duping a 5☆ give out 100,000 bot chips? If so, that will still not be enough and it takes a long time to get a 5☆. That’s right. When are we going to get that? Hopefully it’ll be in this round before it’s back to bot arenas. Whales Break your wallets! Goodluck! I'm loving the new feature bot crystal. FINALLY NO MORE 2*! Greetings Kabam Miike, first congratulations for your work, I know that as a programmer it is not easy to correct mistakes and program news for a game. 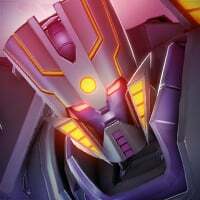 I understand that the introduction of bots 5 * must have some difficulty to acquire them, but they should be a little more accessible for all players can have an even growth and not only those who are more advanced, I have a suggestion for you, I hope take into consideration and can be usefull to give you an idea of ​​how to improve this bot acquisition system. (Note: the numbers that I will put below are not necessary to be considered at face value). I suppose for your publications, that you can monitor the amount of bots that someone has as well as the level of awakened skill by those bots; Based on this, it think that you could put the base price of the 5 * month bot in 200,000 chips, and go increasing this price according to the number of bots 5 * and 5* bots with awakened skill that the player who wants to acquire the bot has. For each 5 * bot or 5 * bot with awakened skill that the player has, the price will increase by 100 000 chips to a maximum of 5 bots. 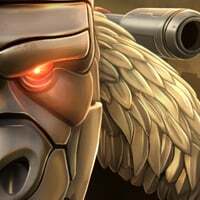 After the (6) 5 * bots and 5* bots with awakened skill, the price will increase by 50,000 chips. Player W don´t have 5 * bots, the price of the 5* month bot for him would be 200,000 chips. Player X has (1) 5 * bot, the price of the 5* month bot for him would be 300,000 chips. Player Y has (2) 5 * bots and (1) 5 * bot with awakened skill in 10 the price of the 5* month bot for him would be 700,000 chips (he has got (5) 5 * bots). Player Z has (4) 5 * bots, (1) 5 * bot with awakened skill in 5 and (1) 5 * bot with awakened skill in 10, the price of the 5* month bot for him would be 900,000 chips (he has got (9) 5 * bots) that increases the price for him in 100 000 chips to the maximum of 5 and then the increase after 6 is 50 000 for each 5 * bot. This would help the more advanced players have a challenge and the lower level players to move forward a bit. Maybe someone will say ok, I forge a 5 * bot that I don´t use in my team to decrease the the chips cost, since it can be more usefull in the 5 * month bot. To which you could put a measure so that the forge of the 5* bots of an average reward, in such a way that we have to analyze a little more if combine or not use this strategy. I know you can think of something better, but it's a small suggestion that I hope will be helpfull. Thank you for your attention and keep up the good work. 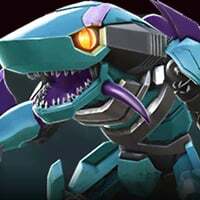 New and intermediate players have no need for 5* bots, t4b, or any of the resources required to rank them, so there isn't really a problem there. Right, here is what I don't understand about all this whining going on about the cost of the featured 5*. Yes it is ludicrously high and it is unachievable for more than 99% of the players unless we save for months as well as spend a little, probably. But think about that. It just means that the introduction of a featured 5* will have no impact on the game if it is unattainable. This means that the cost will eventually have to change, chips will have to become more easily available, or it just sits there and a few players patiently hoard and every now and then someone will get a single copy. The game will carry on as normal. It's an addition to the game, but not one that will change it for anyone noticeably. All other options are still available, it just presents an extra choice. I seriously don't think there are that many players in this game that will drop MCOC levels of cash on these new crystals for it to have the impact it had on that game. I haven't come across a single person or even group that spend enough to change the game, in the same way that say MMX, CØRE, ISO8a etc did in Mcoc. So even if some people do whale out every month, it isn't going to have such an impact that unbalances the game. I'm more concerned about the upcoming influx of t4b and how that will spiral to the point that the top 3 will run away with it and the competition it will cause, but that's for another discussion. Also, lol'[email protected] the whale milking tag. Nice effort. Gotta give Kabam props though...never thought this would be a thing and the fact they're willing to try and reconsider the amount is a pretty big deal. I playing this game since its official release in April that's like 15 months ago,,, I'm complete f2p . I couldn't explore Hot rod spotlight, but I grew and did Megs and Grim one,, When Expert missions came up I couldn't complete that for first run but I grew up and was able to explore by the time Master missions came up, I couldn't complete Blaster and Cheetor Master mission and also missed to buy Kickback and primal but now I did Jazz one. And I'm finally able to dupe my first featured bot, jazz. So the point is If are not going to spend and you're not so much serious but you are an active player and a reliable member of your alliance, it takes a month or two to be able to get the brand new stuff. I'm pretty sure, by the time I'll be able to explore Master mission, I'll be able to buy 5* featured bot. Video on youtu about the 5* chips calculation, you either spend money or save ~3 months crystals at current state.